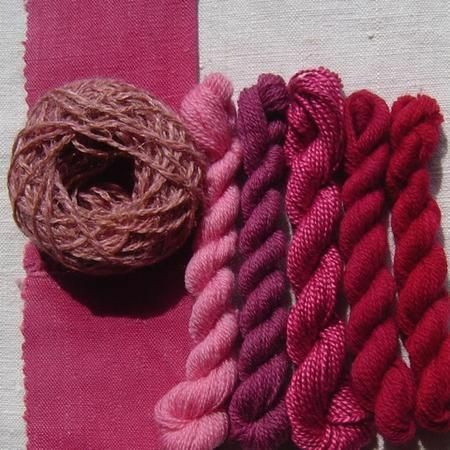 Cochineal – Genuine Bug’s Blood! My late grandfather was a stern but lovable man with some very firm opinions. Even now, some 35 years after his death, he is still fondly remembered for referring to insurance salesmen as “death hunters” and lipstick as “bug’s blood”. I wonder how he’d feel about that last point if I were to tell him that he was, in fact, dead right. Until the advent of safe synthetic dyes which could be used in makeup, the red of lipstick was formed using greater or lesser amounts of cochineal, which comes from the crushed bodies of a South American beetle similar to the cockroach. Cochineal can still be found today as a food colouring – check those labels when you’re out shopping if you don’t believe me – although it is rarely used in makeup for a pure red shade of lipstick. A book I have been reading recently called “Travels through the Paintbox” gives a very good description of the lifecycle of the cochineal beetle. It is bred on the leaves of a particular type of cactus (and interestingly, appears as white blotches on the leaves) which are then harvested and the insects are then crushed, boiled and treated to create the dye. As with silk manufacture, a certain number of insects need to be retained to breed to ensure future harvests, so something like one in fifty beetles will be kept aside for this purpose. So it seems Granddad was right. Lipstick really is bug’s blood. I’m just pleased I don’t wear it anymore! Some dedicated readers of this blog – yes, that’s you two – might remember that I wrote a while ago about a book called “Flaneuse”, where the author suggested that women walking aimlessly was somehow subversive. I recall saying that I wasn’t sure I agreed with this theory and it sparked a small debate amongst some friends of mine. We are still yet to come to a conclusion. However, I noticed a review of Flaneuse on Guardian Online next to an article about women in India being encouraged to walk the streets and reclaim their right to do so in the face of shocking violence and abuse that many women in India face on a daily basis. What struck me was the coincidence of all this, as I’m currently reading a book about a man walking through Delhi (where everyone drives or takes the Metro, apparently) in the style of a flaneur. It seems that walking really is subversive after all – especially if you live in India. The book I’m reading, Delhi by Sam Miller, is written by a white man living in Delhi with his Indian wife and two young children. I doubt very much he has suffered the sexual harassment any number of Western women in India suffer – let alone that which their Asian sisters have to put up with – yet I was amazed that even he was treated as suffering from some form of lunacy. 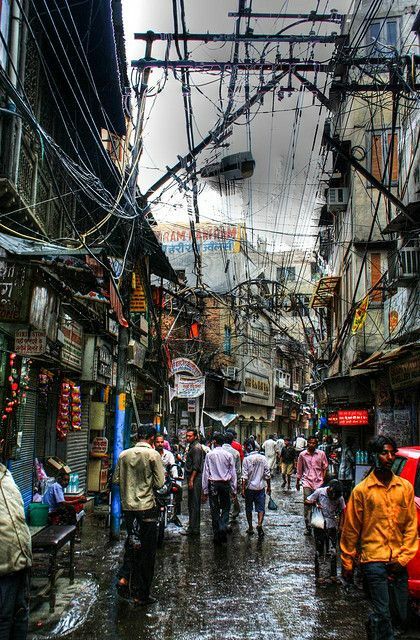 For reasons that I can’t fathom, people don’t walk in Indian cities (a fact that, on the whole, I can testify to. They’re all on mopeds.) and public transport, although good, is horribly overcrowded. Only the very rich can afford to drive but what’s the point when the roads are frequently gridlocked. Wouldn’t walking make more sense? Reading all of this has left me wondering of the author of Flaneuse perhaps had a point and I’d simply not grasped it. Either way, I can see this debate continuing for some time yet. There, I’ve said it. And before anyone asks, I’m not a Muslim either. I just don’t like the sun, so covering up makes perfect sense to me. I have to say, the burkinis that I’ve seen online look rather more comfortable than a wetsuit and an awful lot more flattering. Let’s face it, covering up on the beach is not the exclusive prerogative of religious individuals. Many people cannot or do not sunbathe; they have had treatment for skin cancer, are highly photosensitive or (like me) just prefer to be pale*. Why should they be penalised because they choose to wear something that doesn’t look as if it’s been made from three postage stamps and half a yard of string? Recent events in France seem to have the whiff of Islamophobia about them. If there is a rule about secular dressing (and the burkini is considered a Muslim style for this argument), then it should apply across the board – nuns must don a conventional swimsuit, Buddhists should lose the robes and I dread to think what they would ask the Archbishop of Canterbury to do with his mitre. What concerns me more is the French police’s handling of the situation. Does it really take four armed policeMEN where a quiet word from a female officer might have worked just as well – and reduced the distress? Of course, some blame ought to be laid at the feet of those daft enough wearing a burkini on the beach when they know this might happen, but who has the right to tell people how to dress? In countries where there is high awareness of the dangers of sun exposure – such as Australia and New Zealand – I can only assume that people who wear burkinis are considered to be taking sensible precautions. Indeed, the only definite way of preventing sun damage is to stay out of the sun completely, but the next best thing is covering up. And to me, a burkini is ideal. Having had a sunburned scalp in Greece (painful) and sunstroke in Thailand (twice) I have no intention of going on a beach without one. To be honest, I don’t want to show all my wobbly bits off when I’m swimming; and one of the main reasons why I don’t swim is because I find swimwear too revealing. If I had a burkini, I would probably swim more often. And if wearing a burkini encourages mothers to go into water with their children to teach potentially lifesaving skills, where is the problem? It has become a symbol of Islam because people MADE it a symbol of Islam. I thought it was just a bloody good idea and I’m still cross I haven’t got one. Maybe next year. * That said, outdoor archery this summer has put paid to that – my face is the most tanned it’s been in years. Why Are We So Mean to Pigeons? I have to admit, I was a bit thrown by this question when my 9 year old asked it of me. I mean, I can’t honestly say I’d spent a great deal of time – or any time at all – thinking about it. I explained to her that pigeons were considered vermin, and what vermin was (although that bit she already knew) and so people thought it was a good thing to keep the numbers down. And all my arguments went out of the window; especially since I’m known to be keen on rehabilitating other forms of vermin, like the rat (highly intelligent), slugs (food for hedgehogs), or foxes (pest control on their own). How could I justify pigeons as vermin if I wasn’t prepared to explore what they do and how we treat them? The problem is that pigeons are predominantly an urban bird; and I grew up in the good old days when Trafalgar Square was knee-deep in the things. It was very much a rite of passage in those days to have pictures of oneself taken with pigeons perched on head, arms and shoulders, pecking seed from little plastic cups. When the then Mayor of London, Ken Livingstone, had them cleared from the Square, the idea of pigeons as vermin seems to have been cemented and they’ve become much less appreciated ever since. My daughter is right in her assertion that pigeons don’t actually “do” anything; they’re not intrinsically destructive and are no more disease-ridden than any other creature (and probably less so than rats, for example). They nest in abandoned buildings, they will feed from a bird table if there is one or scavenge if not and, like all birds, will poo whenever and wherever the need arises. So why are we so mean to pigeons – and isn’t it time we stopped? When I was little, I wasn’t allowed perfume but my auntie had a little bottle of something that I was allowed to wear when I was playing dress up which smelled gorgeous. The bottle had a distinctive blue and gold label and always made me feel grown up, stonking around the house in an old satin negligee and someone else’s high heels. At that time I had no idea what it was, but I’m delighted to say that I tracked it down as an adult and still wear it – although not quite as liberally as I used to. 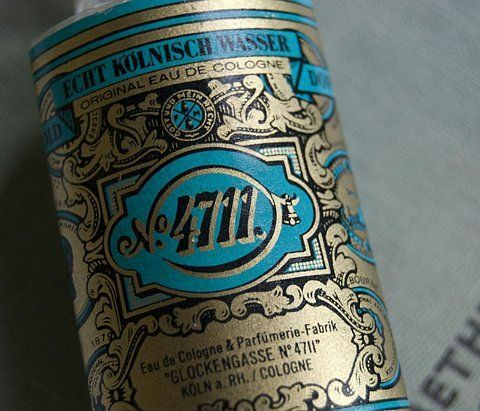 A classic eau de cologne, 4711 is still available now and the smell is still as citrus fresh as I remember. The citrus comes from bergamot, which gives Earl Grey tea its distinctive taste, lemon, orange and neroli, with lavender and rosemary providing a herbal base on which the citrus sits delicately. The actual combination, apparently, is a trade secret but if you have a decent supply of essential oils, I expect it would be fairly easy to replicate. At the very least, it would be great fun experimenting! Just don’t blame me if your children smother themselves in it and disappear with your best heels and party frock. It’s what I would do, after all. This seems to be something that socialist parties worldwide are particularly susceptible to (notwithstanding the Tory Party’s veneration of the late Lady Thatcher) and it looks as if the British Labour Party are no exception. Now don’t get me wrong; I like Jeremy Corbyn. He’s a man of sincerely held and deeply felt principles, a few of which I happen to agree with. However, aside from the Parliamentary Labour Party, who apparently can’t stand him, the grassroots Labour Party seem to be falling into the same trap. The Cult of the Leader is well known in socialist circles, none more so perhaps than Stalin in the 1930s, when history was rewritten to portray him in a better light. From Fidel Castro in Cuba and Mao Zedong in China through to Enver Hoxha in Albania and Kim Jong Un in North Korea, the socialist leader has encouraged his very own personality cult in the event of gaining – and retaining – absolute power. It may be something to do with totalitarian states – of which all of the above were to a greater or lesser degree – but it does seem to fly in the face of the central tenets of socialism. And I’m afraid that Corbyn does seem to be encouraging it, which surprises me as I had thought he was a better politician than that. Has his taste of power as Leader of the Opposition affected his principles, I wonder? And would it affect Owen Smith, much less of a traditional socialist than his incumbent colleague, should he win the leadership contest? It really is a peculiar phenomenon though. No wonder I’m no longer a party member; I’m not sure I could resist taking the mickey. People who know me well know that I love a good comic book movie. People who know me really well know that I love a good comic or graphic novel as well. And having read SFX Magazine’s recent special “100 Greatest Graphic Novels” I can honestly say I’ve read some absolute classics. I may also have read some absolute stinkers as well, but that does come with the territory, to be honest. And I have now been given some suggestions to look up when I get time. The list struck me as being quite DC heavy, and very keen on Batman (I counted 4 dedicated stories to the Gotham universe); by contrast, there was 1 X-Men, 1 Avengers (rebooted) and 1 Captain America. No Spidey, no Iron Man and certainly not Richard Morgan’s take on Black Widow (which was epic). That said, I was delighted at how many independents (i.e. not Marvel or DC) who not only made the list, but made the TOP TEN. This is great stuff and shows that there really is more to comics than Lycra and superpowers – ironic, given what made the top spot, but there we are. There’s life in the graphic novel yet. It’s a shame it’s still considered to be so niche. I’ve a sneaky feeling that, unless you are a specialist in women’s fashion history, you’d have got this wrong. Indeed, my initial reaction was to assume that it was Vivienne Westwood or, at a push, Alexander McQueen. Possibly even Galliano. Not so. This dress was designed by Elsa Schiaparelli in the early 1950s. Would you believe that? How modern does it look? 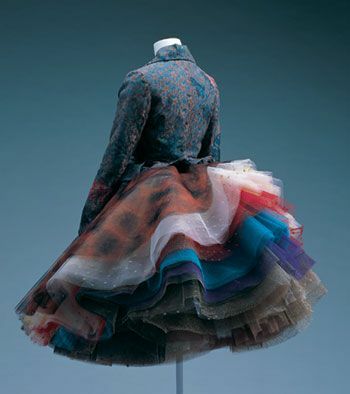 I really love the tulle skirt echoing the colours of the Tricolor. I’m fairly certain that if an A list Hollywood celebrity were to wear it to Cannes, she’d be extremely popular and probably considered extremely fashionable. Unfortunately, the picture doesn’t show the front of the dress – which could make or break the outfit – but to be perfectly honest, the skirt has sold itself to me. I just need an occasion to wear it now. How Safe Is Your Poultry? 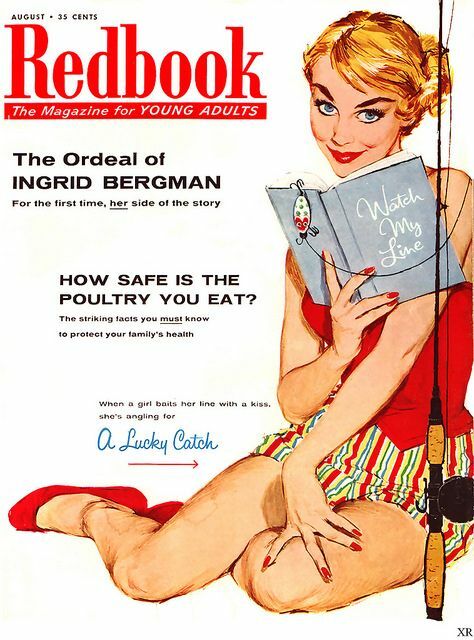 Just to prove that fears about the quality of the food we eat, this headline comes from a Canadian Magazine published in 1947 (just under the one about Ingrid Bergman). In fact, fears and concerns about the quality of food have existed for decades, if not centuries and, it is said, were the origin of the story of Sweeney Todd – or at least, the contents of Mrs Lovett’s pies. In fact, I can remember the Great Curry Scandal of the 1970s, with allegations of cat being used to make tikka masala, or even Kentucky Fried Chicken. No wonder I became a vegetarian. In recent years, the concern has been almost as much about whether the meat one eats is what it claims to be (and not horse meat or worse), as it has been about the amount of chemicals used in its production. Intensive farming practices mean that livestock are routinely fed antibiotics and hormones and also take in pesticides through their feed. The resulting meat is often little more than a chemical mix and has resulted in the growth of antibiotic resistant superbugs as well as an increase in autoimmune diseases. It is felt that organic meat is better, but the environmental cost of meat production, at a time when many people can barely afford to feed themselves, is one that needs to be considered. In terms of health, I do not believe that meat is a necessary part of the diet. There are many vegetable sources of protein and Vitamin B12 is now artificially synthesised so there is no real need to be deficient. The land currently taken up by livestock production – including the land that produces their feed – could be used to produce food for humans. It is always worth taking a good look at intensive livestock farming practices to see if you really want to eat what it produces. You may be surprised by the results. 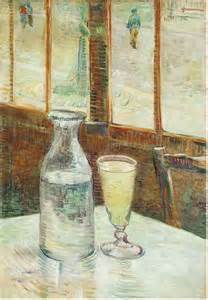 A bottle and glass on a table; and yet the whole painting is distinctively Van Gogh. It’s the brush strokes; thick with paint and in dazzling shades of green, blue, yellow and white against the varying browns of the café wall, the absinthe glass sizzles with life. I could almost reach out and drink it. Van Gogh painted a number of still lifes over the years; it was a good way of honing his skills without having to waste anyone else’s time sitting for him. The majority, however, are of flowers – the best known of which is in the National Gallery – and the subject matter does make this one unusual. It wasn’t often that an artist painted his drink! It’s a simple painting with a basic arrangement and yet there are things worth noting. The glint of the glass in the sunlight, the shimmer of the liquid, the person walking outside just visible through the café window; the perspective seems a little odd but it’s a vivid picture and has a distinct reality to it that one doesn’t usually see in a still life. It’s not his best known work by any means, but I think it’s underrated and I like it very much.